Lush Fab Glam Inspired Lifestyle For The Modern Woman: Miranda Kerr Channels Jackie Kennedy for Harper's Bazaar. Is it a Hit or Miss? Miranda Kerr Channels Jackie Kennedy for Harper's Bazaar. Is it a Hit or Miss? Photos by Terry Richardson for Harper's Bazaar magazine. Is Miranda Kerr as Jackie Kennedy a Hit or a Miss? Comment below. Miss. 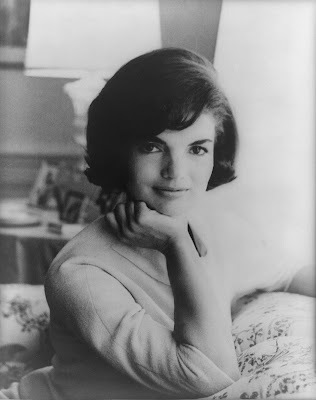 No one ever will be Jackie, she is one of a kind. They captured the seduction of Jackie, but its not Jackie. And I know I shouldn't expect anything more, but I just.. The lighting is good, the scenery is great. Oh, and elbows on the table! Tut, tut! She looks a bit like her in the first photo but it goes down hill from there.